Bloomberg reports that the board evaluated secured-debt arrangements and other forms of capital, but decided they weren’t the best alternatives to address billions of dollars in potential wildfire liabilities, according to one of the people, who asked not to be identified because the information isn’t public. A key stumbling block remains California’s inverse condemnation policy that can hold utilities liable for wildfire damages regardless of whether they’re negligent, according to the people. Investigators have already determined that PG&E’s equipment caused at least 17 major wildfires in 2017, though it remains to be determined whether PG&E will be found liable for November’s Camp Fire, which killed 86 people and destroyed about 14,000 homes, making it the deadliest fire in the state's history. Additionally, Bloomberg reports that PG&E looks set to secure $2 billion in debtor-in-possession term loans on better terms than it was initially expecting. The term loans are part of $5.5 billion total financing to fund operations during a Chapter 11, making it the largest bankruptcy loan package to be syndicated since June 2017, according to Bloomberg data. "The DIP is multiples covered as it is well collateralized by the company’s asset and enterprise values," said Steven Oh, head of credit and fixed-income investments at money manager Pinebridge Investments. "The PG&E loan is more iron-clad than most triple B rated loans in the market." 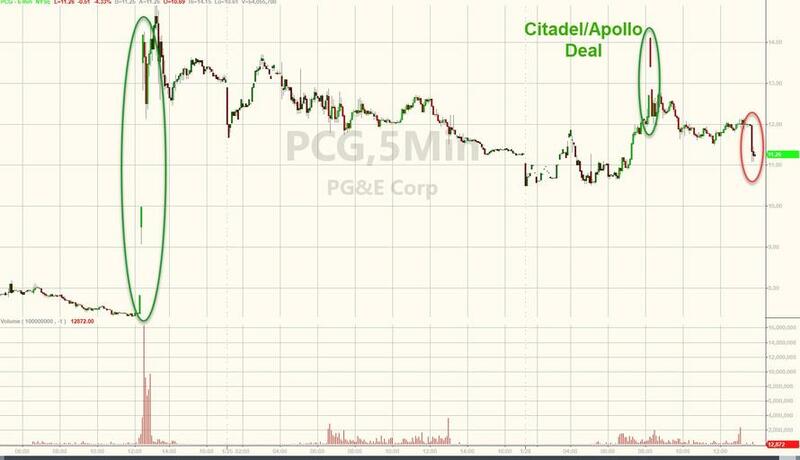 The deal had a BBB- rating from Fitch Ratings... and while some investors had passed (looking for more spread to cover their risk), we are sure will be scooped up by various CLO entities and pitched on to yield-hungry pension funds.